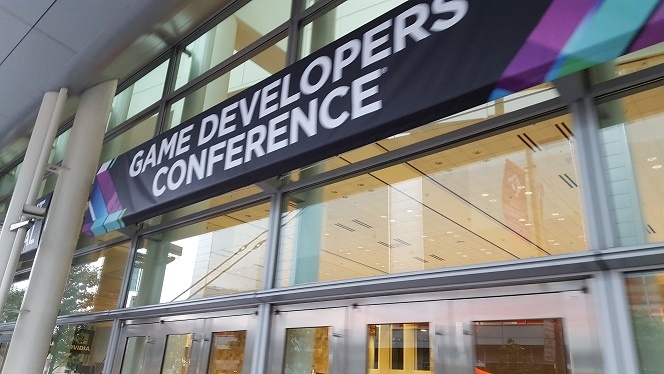 I have finally returned after a long week at the Game Developers Conference, a.k.a GDC! I have learned so much about our industry within the last week, it's crazy it was only a week. There were many ups and downs of the conference, but I'd have to say my favorite part was talking to industry professionals and attending their panels. 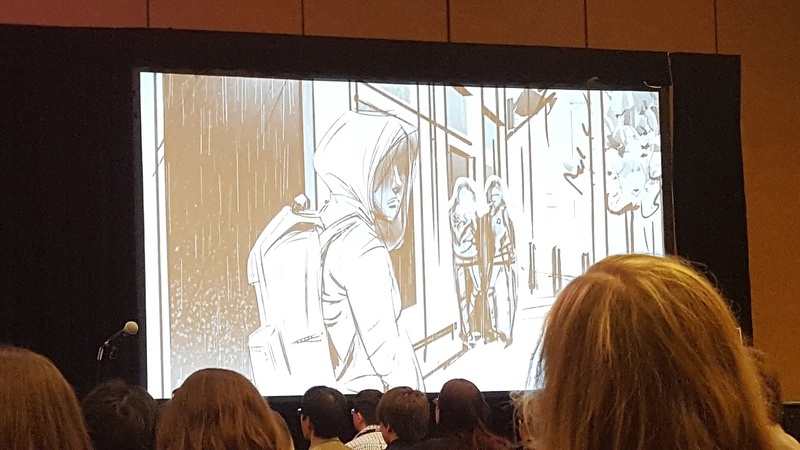 I'll go ahead and start this blog out with what I learned at GDC from some of the panels I went to, and I'll end it with my advice for those who are looking to go next year that I didn't state in the previous Pre-GDC blog. So among the many panels that I went to, a couple of them really stood out. I went to a lot of panels that were about finding your place in the industry and marketing yourself. I attended a panel called "The Game Developer's Guide to Building Great Client/Freelancer Relationships." As an artist I will eventually be doing freelancing and currently one of the projects that I am on is technically freelancing. They had many experienced freelancers host this panel along with a lawyer. Client's can sometimes be quite a handful. If they don't completely understand what it is you do, their vision and idea of what they are "hiring" you for is greatly skewed. If you don't quite understand this struggle I highly recommend you check out this website: Clients From Hell. This is a website my coworker John Pratt showed me that is entirely dedicated to telling personal stories of horrible clients and the struggle of being a freelancer. My current client is frustrating to say the least but after this panel I feel more confident in continuing on this project. I have a lot of ideas to propose such as a "contract" of sorts that lines out what our students and team members will do each sprint in great detail that the client has to sign. The client cannot make any changes to this sprint unless otherwise stated. This prevents the client from being wishy washy on what they want. In a real life scenario, the hosts had mentioned one of the ways they prevent clients from continuously changing what they want, is to allow the client 1 or 2 changes and then up the price of your services for any further changes. This of course needs to be stated in your original contract that the client needs to sign and be aware of. All in all this is a great way to protect yourself from overworking and redoing everything 5 times cause the client is indecisive. 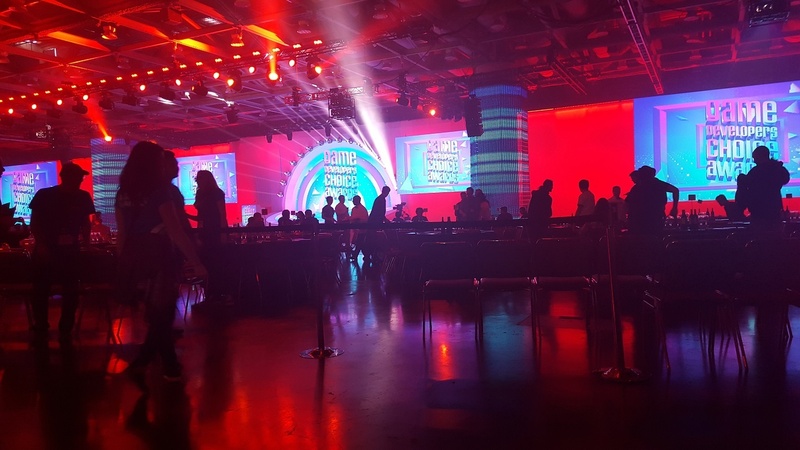 I attended the Game Developers Choice Awards in which Her Story and The Witcher 3: Wild Hunt took home the majority of the awards. In front of where we were seated the developers of the nominated games had a dinning area. It's hard to believe that amazing developers like Shuhei Yoshida (President of Worldwide Sony Studios), Markus Persson (Creator of Minecraft), and Todd Howard (Bethesda Studios) were sitting just a couple feet away. The tribute for Satoru Iwata was very emotional for many of those that attended this event. Everyone stood up at the end of the video and you could tell from when the video started playing many people shed a couple tears. There were 2 other panels that I attended that I really took a lot from. They were: "Creating Greatness at Santa Monica Studio" and "Playstation University: How to Become a Playstation Intern" bother were presented by Sony Computer Entertainment Studios. The first panel was a run down of what it is like to work at Sony's Santa Monica Studios, most known for making the God of War Franchise. There are many benefits for working at Sony from what I saw. Because Sony is such a large company, it treats its employees very well. Working at studios like Santa Monica, you learn that you are not just another worker you are part of a very important team. One of my favorite things about the Santa Monica Studio presentation was that through their front door they have a wall of pictures of every employee and every game that the studio has. There is also a logo that is made of all of the names of people who have worked at Santa Monica Studios. This shows the importance of everyone in this community. I went to the Santa Monica Studio panel first and then the next day went to the Playstation University panel. 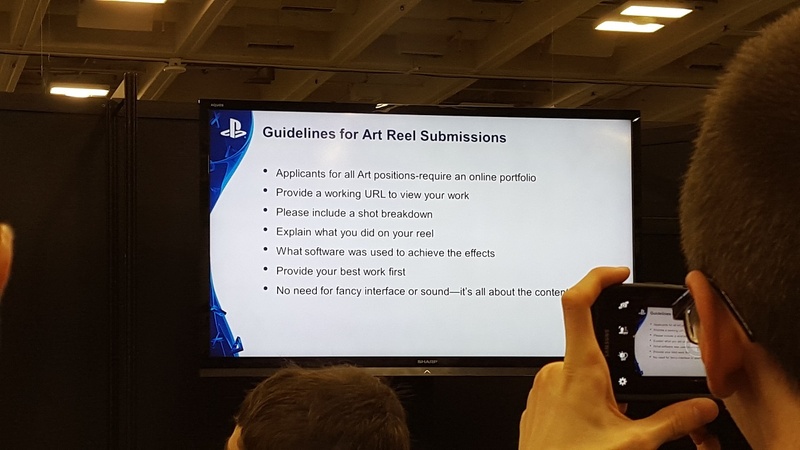 After going to the Playstation University panel I am for sure going to be applying and applying to get in. Playstation University is such an opportunity for students and recently graduated alumni that it is ridiculous to not try to get in. They seem to like the same kind of students that UAT likes, meaning passion and love for this industry and what we do is a mandatory thing. Of course you have to have the requirements but they went over what they look for in their interns that they hire. Being passionate, wanting to be part of a strong community, wanting to learn more, having an outgoing personality, and the drive to work hard is what they look for in their interns. I was extremely happy to find out that they accept college and university graduates up to a year after graduation. They do this to hopefully get some good employees after the internship is complete. What I learned at this conference was that you need to have the drive to work in this industry. It is by far not an easy one to get into unless if you are willing to work for it. When hiring you into this industry what most companies want to see most is your passion. We rely on friendships more so than business relationships. My biggest tip I could give you is that you will get what your give. Yes there is a difference. You have to remember, here at UAT we teach you a round education to learn everything in your field. Your portfolio for UAT is required to show skills in all of the listed degree requirement. For example if you are a Game Art and Animation major, you need to show skills 3D modeling, animation, implementation, and basic art foundations. When getting a job what HR departments want to see is a focus portfolio. This means one or two consistent style with a focus in your field. A good example of this is if you want to be a concept artist, show this in your portfolio. If you are going for a concept art job, you probably shouldn't have more 3D modeling, or in engine work. If you want to be a stylized concept artist, you want to have a strong presence of your diver abilities in stylized work and maybe a few realistic concepts. The realistic concepts should not outnumber your stylized if you are going for a stylized concept artist profession. If you want to be an environment artist you shouldn't have character art in your portfolio. Sometimes it doesn't seem like meeting someone at a party will land you a job, but one of my friends had a successful time possibly getting a job while at a party. I also got a great connection as well from a mixer so don't be shy and go and talk to people. It's not that you're trying to pick up a date but having another person there to help you get through a conversation can be very helpful. I am really good at continuing conversations but I am horrible at starting them. I have a friend who is the opposite of me. With our social skills combine we make a great team to go and talk with people. Make sure you both know you are not competing with each other, rather you are helping boost each other up by starting conversations or recommending the other. This is all the advice I can think of at the moment. That's all for today everyone! Look forward to another blog I am looking to post about a panel I went to called: "Raid on Rise"